When is the time right to Transplant Iris?? 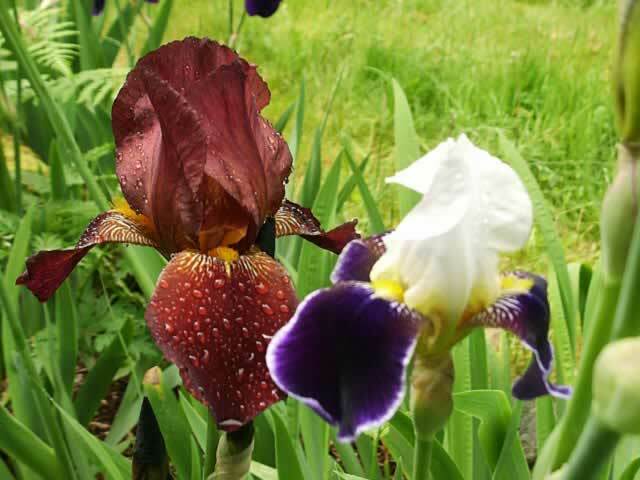 The best time to divide and transplant Iris rhizomes is 2-3 weeks after the finish of blooming. Dig the clump up and pry the rhizomes apart, discarding all shriveled and diseased parts. Rhizomes that produced flowers this year will not produce again, however they provide food to the new side shoots which will be next summers bloomers, so be sure to leave these new shoots attached to the mother. Cut the leaves back to about 6-7 inches. When replanting, be sure to dig in a good granular bulb food into the soil. Dig a hole large enough for root development and mound the soil in the center so that the roots may be spread over the 'saddle'. Barely cover the rhizomes with soil. For multiple plantings in the same hole, arrange the rhizomes so that the leaf-ends point away from the center and plant them 8 inches apart.